Macao has a rich historical and cultural heritage, and having been the first city in the Far East to celebrate the Christmas. 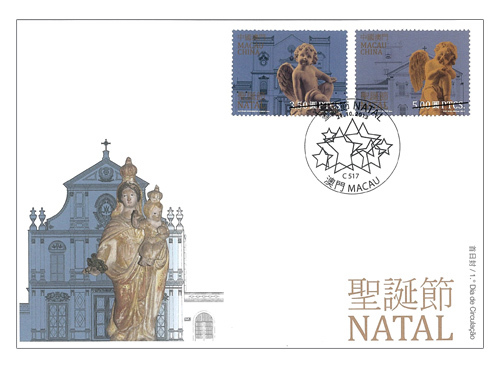 To celebrate the time-honoured spirit of this joyous festival, the first joint issue between Macao Post and Greenland Post with the stamp theme of “Christmas” will be issued on 21st October, 2013. 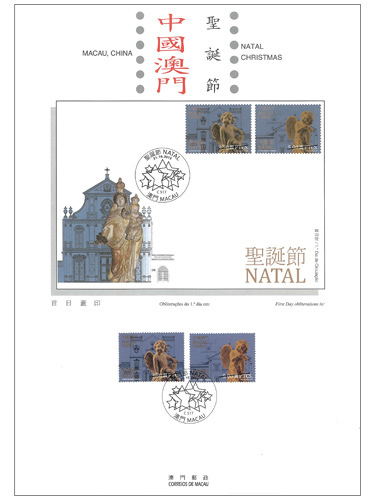 The stamp issued by Macao Post includes a set of two stamps and one souvenir sheet, the images of stamps present the little angels symbolizing the birth of Jesus, and the souvenir sheet shows the image of “Our Lady and Infant Jesus”, which belongs to the St. Dominic’s Church Museum - Treasure of Sacred Art, those stamps’ background combine with the facades of ancient churches that are part of Macao’s heritage, including St. Lawrence Church, St. Augustine’s Church and St. Dominic’s Church, which express the essence of Christmas in Macao. 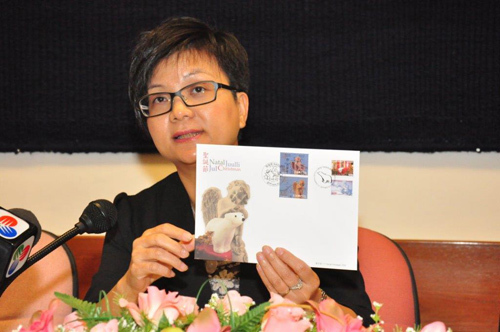 Macao Post and Greenland Post also jointly issue a presentation pack with the above stamp theme, this pack includes the respective stamps issued by the two administrations, with total face values at 8.50 patacas and 19.50 Danish krone respectively; and a joint first day cover affixed with a set of Macao’s stamp and a set of Greenland’s stamp of the same issue and cancelled with the postmarks of the respective administrations. 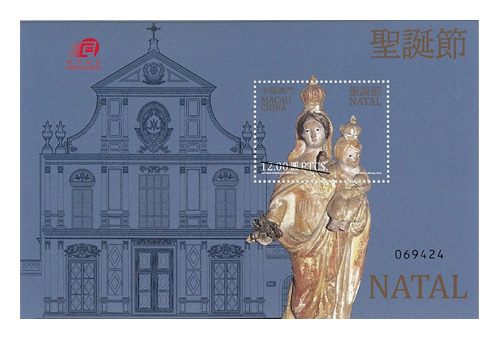 Among the total printing quantity of 8,000 packs, the total of 4,000 packs to be sold in Macao is priced at 98.00 patacas each. 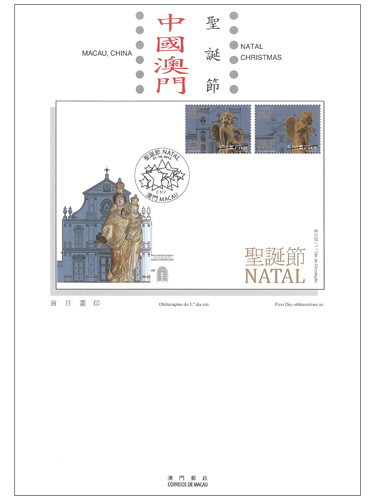 The stamp designer of this issue is Mr. António Conceição Júnior, and the text of the information brochure is written by the Weekly Publication Editorial Office of Diocese of Macao “Aurora”. This is the eleventh issue in 2013. 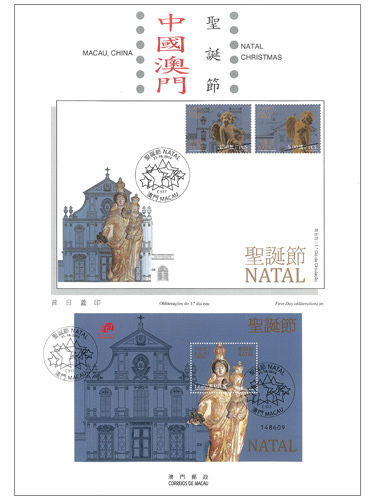 The previous issued stamps are “Lunar Year of the Snake” on 03/01/2013, “Centenary of the Macao Chamber of Commerce” on 23/01/2013, “Mainland Scenery V” on 01/03/2013, “20th Anniversary of the Promulgation of the Basic Law of Macao” on 31/03/2013, “130th Anniversary of the Establishment of the Fire Brigade” on 25/04/2013, the label stamp “Lunar Year of the Snake” on 30/04/2013, “Museums and their Collections III – Macao Museum” on 10/05/2013, “Beliefs and Customs – Na Tcha” on 25/06/2013 and “Literature and its Characters – The Romance of the Three Kingdoms II” on 13/09/2013. 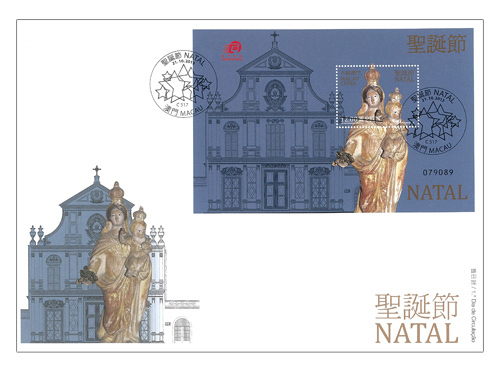 The stamp “Streets of Macao II” to be issued on 09/10/2013.